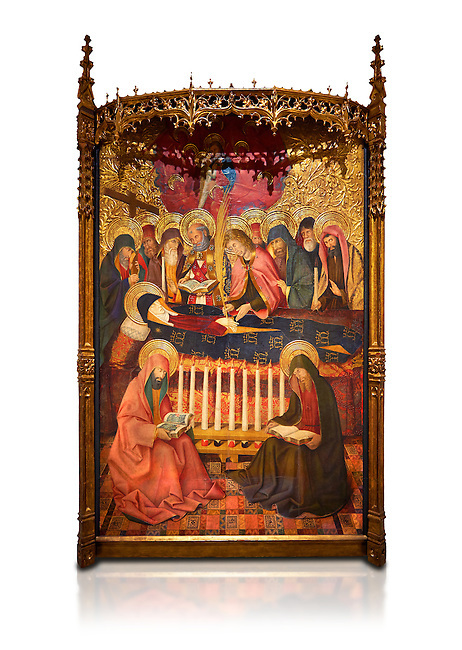 Gothic altarpiece of the Dormition of the Madonna (Dormicio de la Mare de Dieu) by Pere Garcia de Benavarri, circa 1460-1465, tempera and gold leaf on wood. National Museum of Catalan Art, Barcelona, Spain, inv no: MNAC 64040. Against a white background.